Japan has Line. China has WeChat. Vietnam has Zalo. If Roland Ros and his startup partners and co-founders have their way, their platform called Kumu will soon join those companies’ ranks and become an indispensable app for Filipinos everywhere. 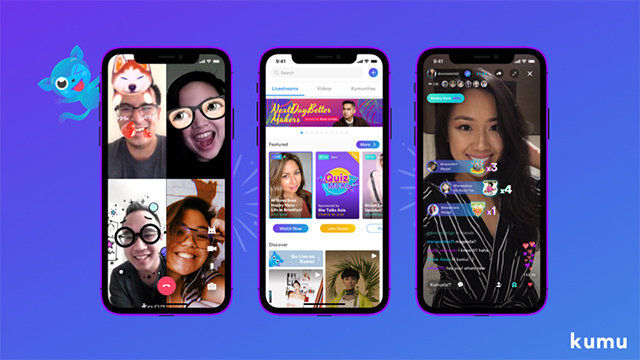 Launched in June 2018, Kumu bills itself as the world’s first-ever social TV and livestream community app. And it's founded by Filipinos. Kumu, a play on the Tagalog word kumusta (How are you? ), is a livestream and content mobile app designed for Filipino communities. 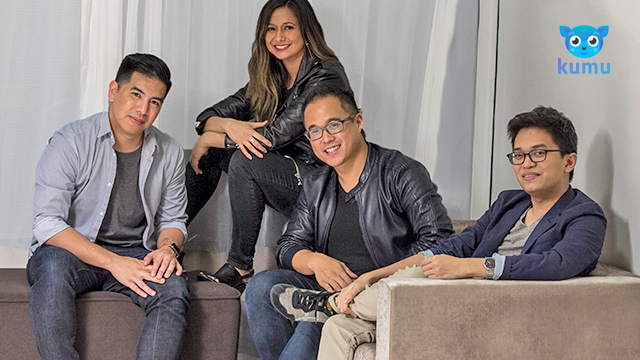 Its founders—Ros and Rexy Dorado, Andrew Pineda, his cousin Clare Ros and Angelo Mendez—envision the app to create an in-app digital economy based on Filipino creativity and collaboration. 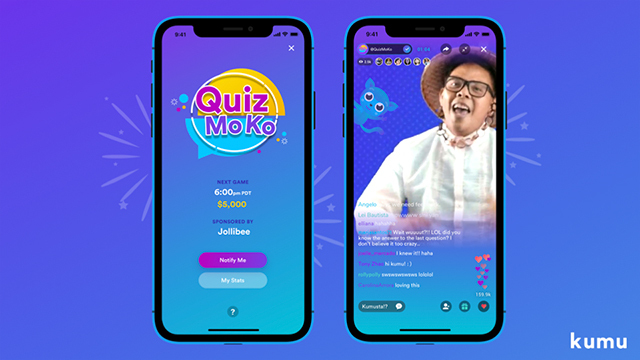 Kumu now hosts interactive “shows” like Quiz Mo Ko, the Brain Game and Pinoys Doing Stuff LIVE that Ros says provide a unique way for Filipino millennials to connect and have fun together. Viewers can opt to “tip” or send digital tokens to their favorite livestreamers, which allows content creators with enough viewers to earn. 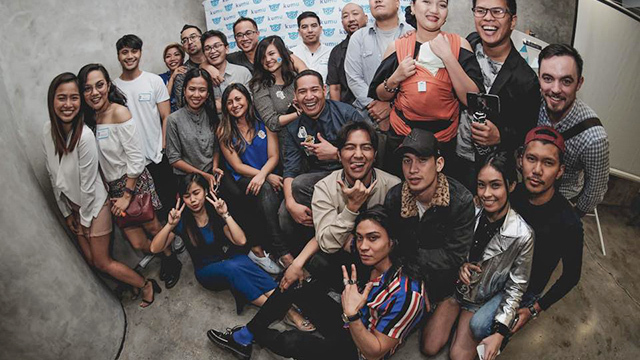 Kumu has big plans for the livestream gift aspect of the startup’s operations, calling it an exciting frontier for content creators in the Philippines. Although still in its beta testing mode, Kumu now has over 20,000 users in over 55 countries, about 80 percent of whom are millennials. Ros says growth is at 100 percent month-over-month since its launch, with the target at 100,000 users by the end of the year. After the startup raises enough funding, Ros says they will push to have one million daily active users by the end of 2019, by which time Kumu hopes to be in the top five social apps on both Google Play and Apple’s App Store. “This is a very important goal for us, since we would be the only Filipino homegrown app in the Top 5,” Ros says. Born in Los Angeles, California to Filipino parents, Ros studied at the University of California, Santa Barbara and worked in the advertising technology business before founding Kumu. He met co-founders Mendez and Pineda in college and Dorado, who is the founder of Kaya Collaborative, through his involvement with humanitarian and community service projects in the Philippines. Ros says the initial funding for Kumu came from friends and family although they also raised their initial fundraising goal quickly with the help of advisors like venture capitalist Scott Hartley and Chinese entrepreneur Tony Wang. Apart from Hartley and Wang, Kumu’s advisory board also includes Filipino-American tech pioneer Diosdado Banatao and Summit Media President Lisa Gokongwei-Cheng. Gokongwei-Cheng is president of Summit Media, which publishes Entrepreneur Philippines. Ros says he looks up to people like Le Hong Minh, who founded VNG Corporation, a leading internet and social media company in Vietnam, as well as Edgar “Injap” Sia of Mang Inasal and DoubleDragon. With its headquarters at the AIM-Dado Banatao Incubator at the Asian Institute of Management in Makati, Kumu now counts a full staff of about 20. Ros says they also plan to fill out their front end and product management team based in Bonifacio Global City, which now counts only four people, as well as a content creation studio close to Rockwell in Makati. The startup is currently finalizing a $1-million seed round and is in discussions with several Southeast Asian focused venture capital firms for its Series A fund-raising. The plan is to eventually become self-sufficient through what Ros calls a “pretty robust advertising pipeline” for their Social TV division, with most of the company’s future revenue being generated from taking a very small part of the digital economy they are building through livestream gifts.